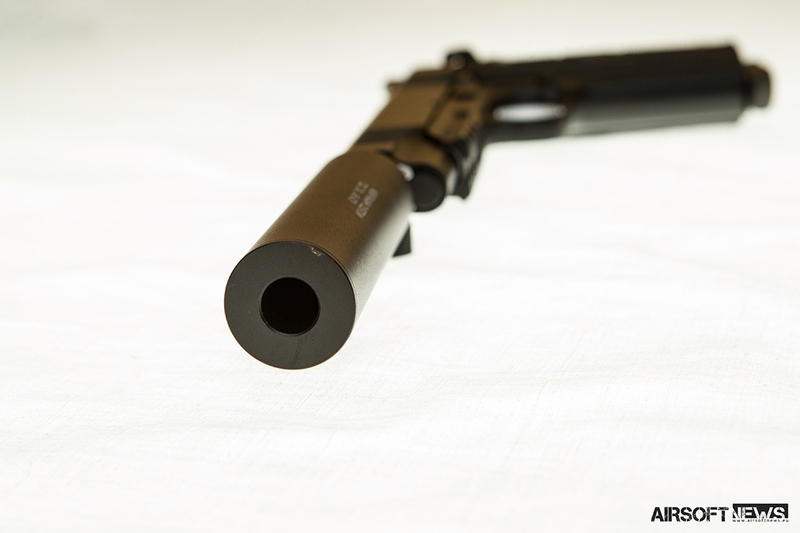 Considered to be one of the best handguns in history of man and according to many firearms enthusiasts, M1911/M1911A1 added another variation to its expading numbers. 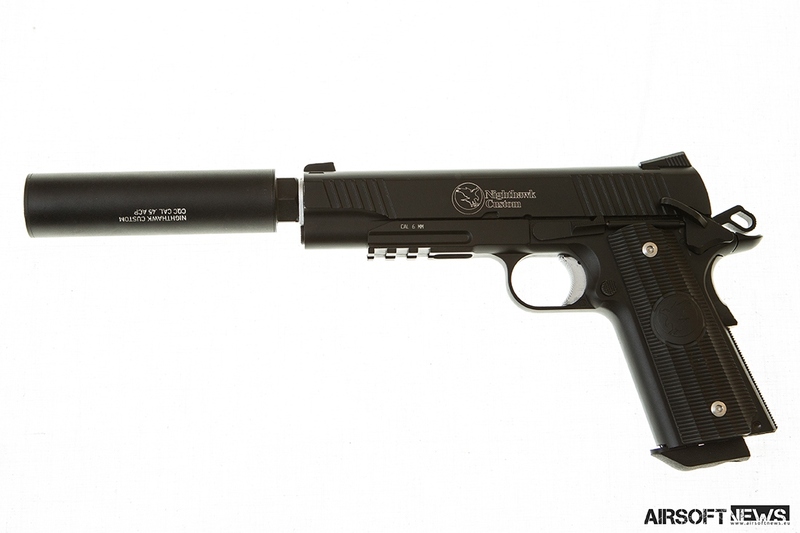 Another sweet addition for your airsoft collection is: The Nighthawk Custom – Covert OPS. 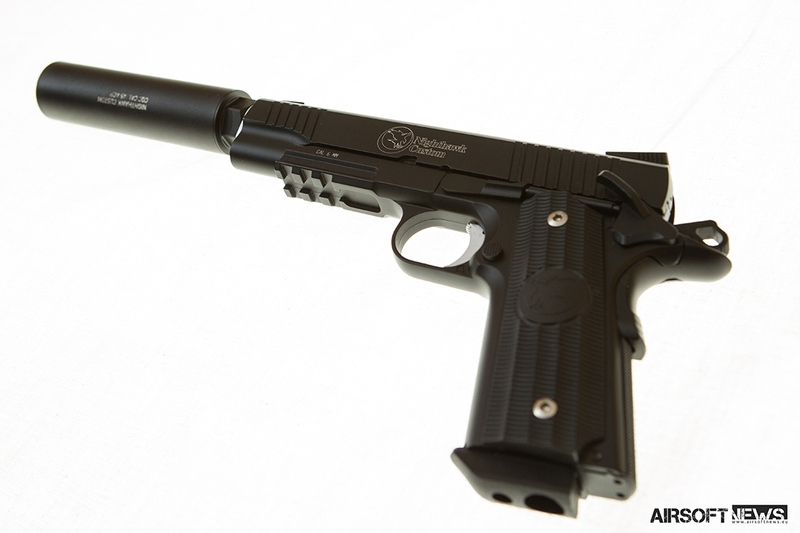 Not some time ago Redwolf released, under their license RWA, 1911 replica based on handguns made by Nighthawk Custom. The real steel company came to fame with the help of Chris Costa. When he started to carry Nighthawk Custom models. 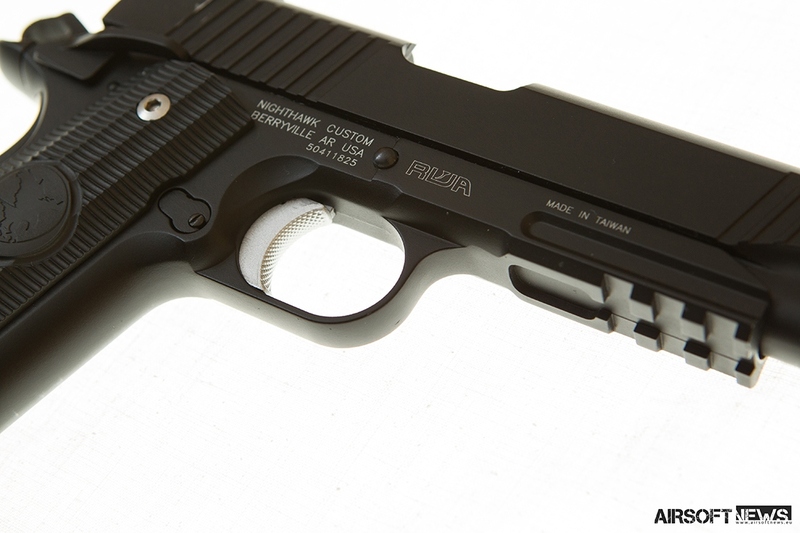 Together they designed the “ideal fighting 1911” with the Costa Family handguns. 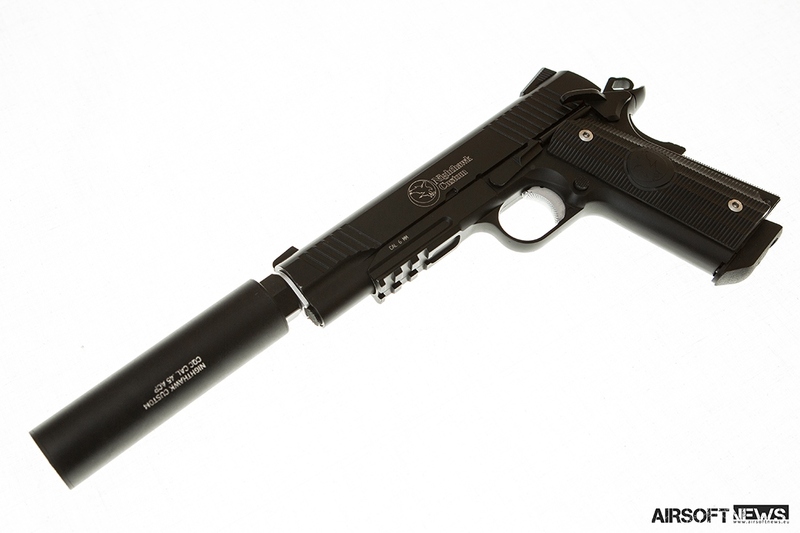 Redwolf sent me the lovely RWA Nighthawk Custom – COVERT OPS 1911 version. 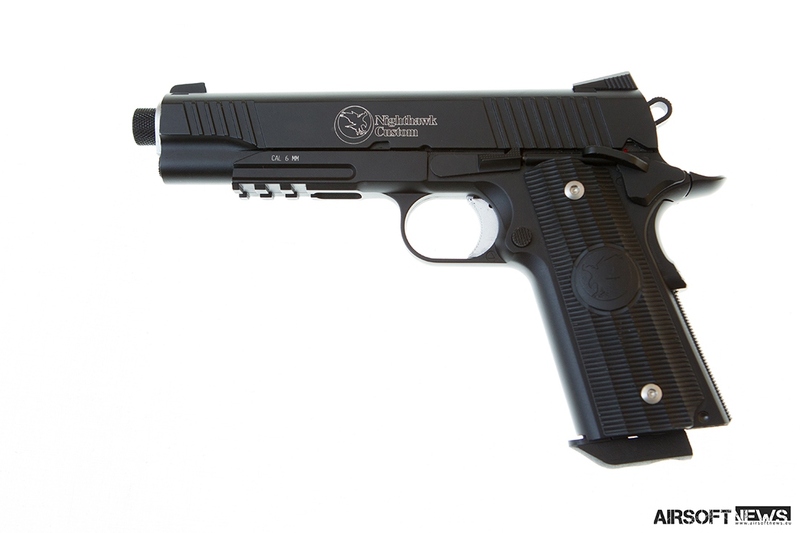 All of the Nighthawk Custom replicas are highly customized to match the professional look of the real steel versions and this one is no different, they feature CNC made slides and Nighthawk grip panels. 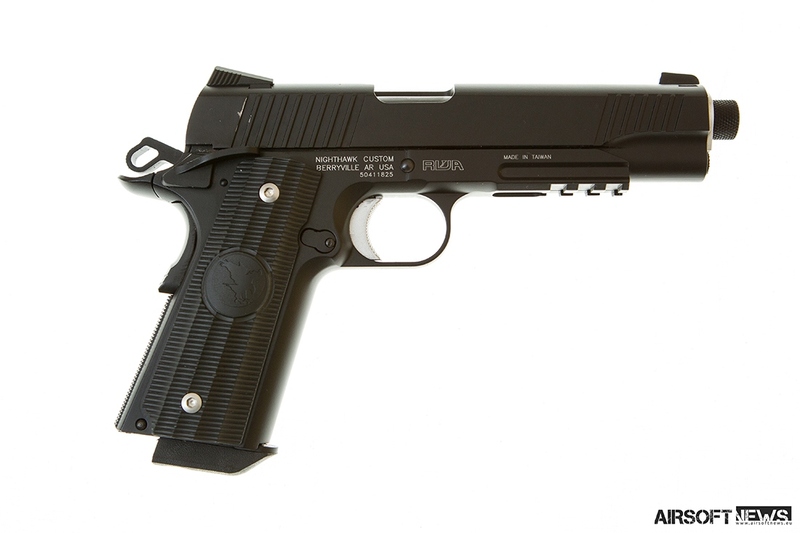 While Nighthawk Custom tried to design the ideal fighting 1911, RWA tried to create the ultimate skirmish 1911. 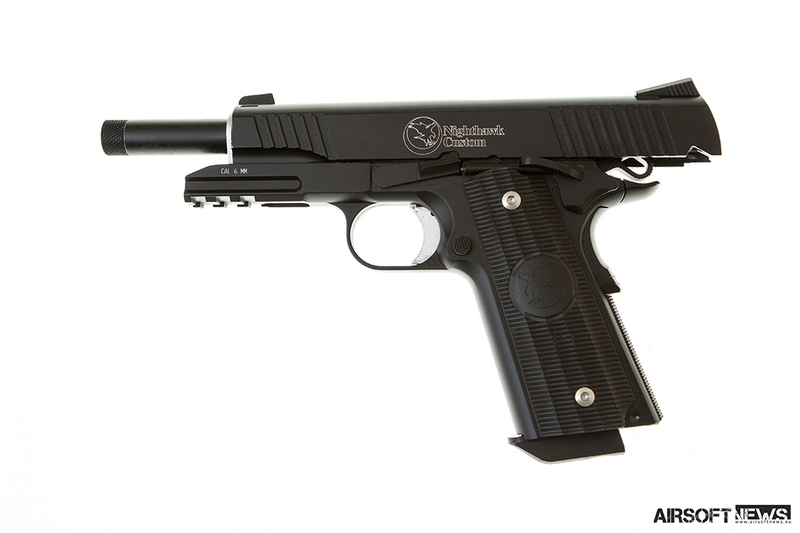 This replica uses 12g CO2 cartridges to send BBs out of the barrel and that means higher FPS accompanied with better recoil, noticeable bang and of course your guns performance is not affected by such little things as cold weather. 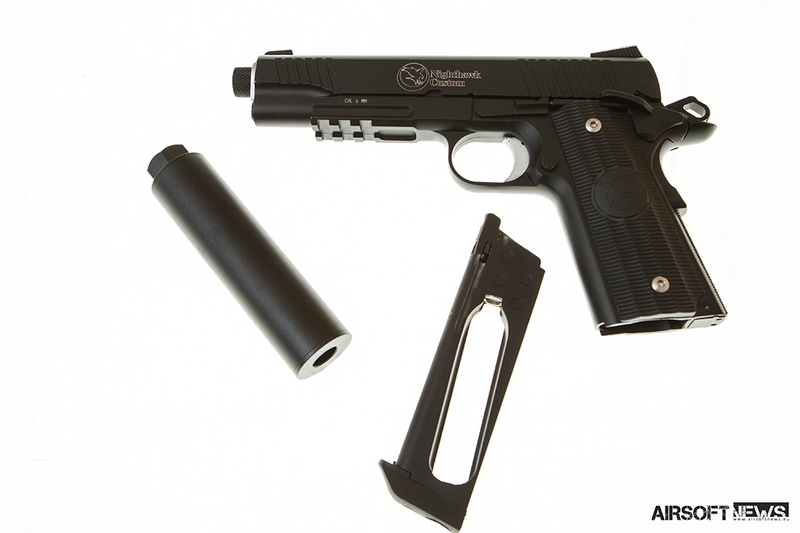 On the other hand higher FPS also means that some airsoft matches will limit the use of this gun but mostly wont as it shoots around 340 to 370 fps. 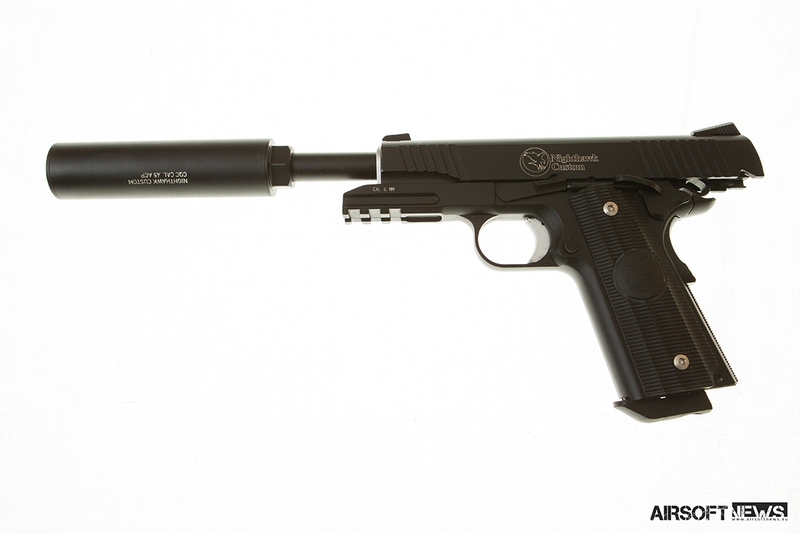 The box contains a CO2 magazine, 100pcs of 0.20g Bbs, an Allen wrench for the magazine, user manual and of course the handgun itself accompanied with lovely marked mock suppressor that will need some love of yours to fill it with foam as CO2 does make a noticeable bang. And that is no good for silent hitman as you are. The user’s manual deals with all the basic things that you should already know, like muzzle discipline and cleaning/take-down. The gun weighs a hefty kilogram fully loaded and this is so near the real steel version, that is only 200 grams heavier. 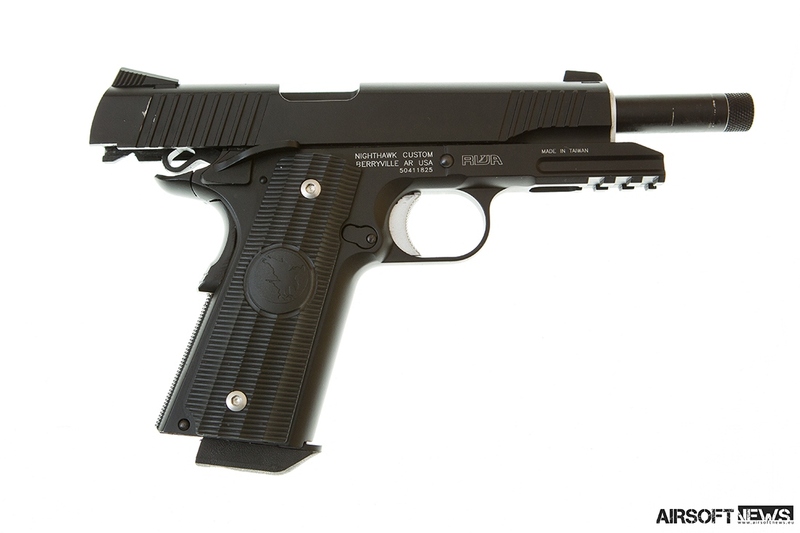 The first thing you’ll notice is that a lot had improved since the original RWA Nighthawk Custom Recon. The Covert OPS really brings the game on whole different level. 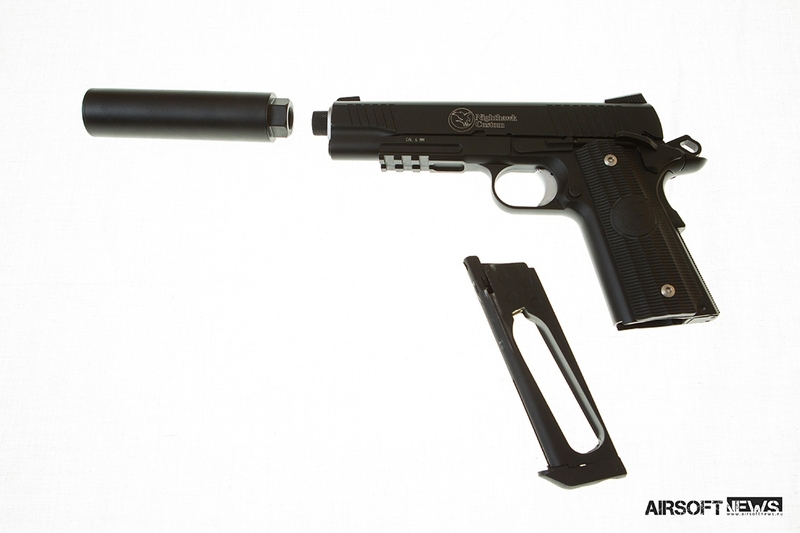 The most eye catching feature is the lovely suppressor that accompanies the gun. It sits on a standard 14mm CCW thread. 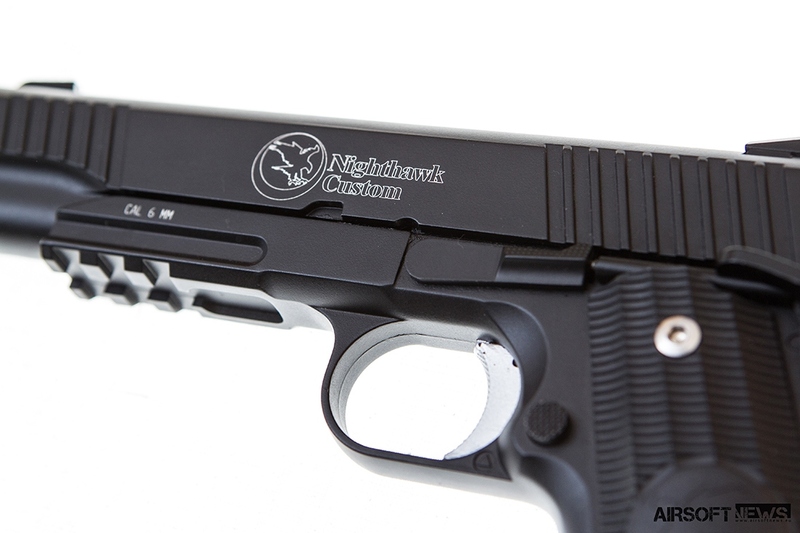 The GUN also features Nighthawks trademark GATOR grips that really do a lot for comfort when holding the gun. That also translates in really nice groupings when shooting. The tool that is comfortable to hold and comforts to us becomes the extension of our hand and that leads to perfect shoots every time. Trigger has slight groove that makes it lighter than its predecessor. 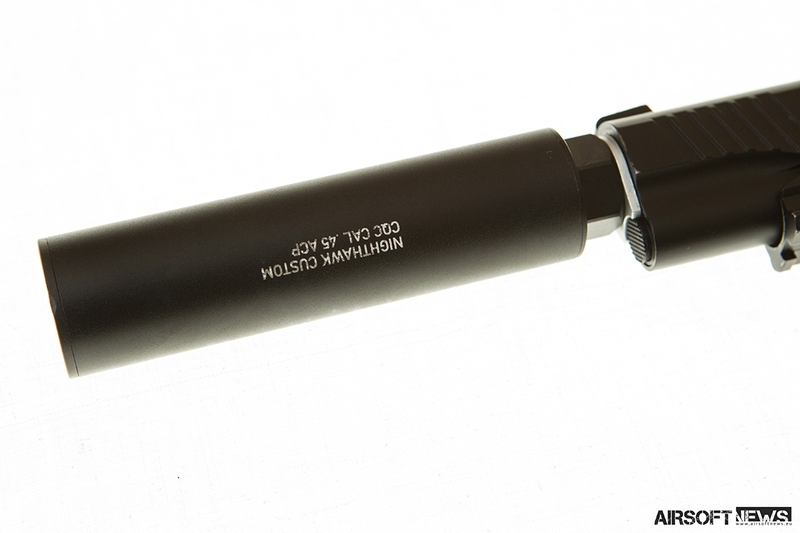 The outer barrel lost some weight and gained some stealth bling as it is now darker than dark. And that contrast against the midnight black of the rest of the gun is really lovely to behold. 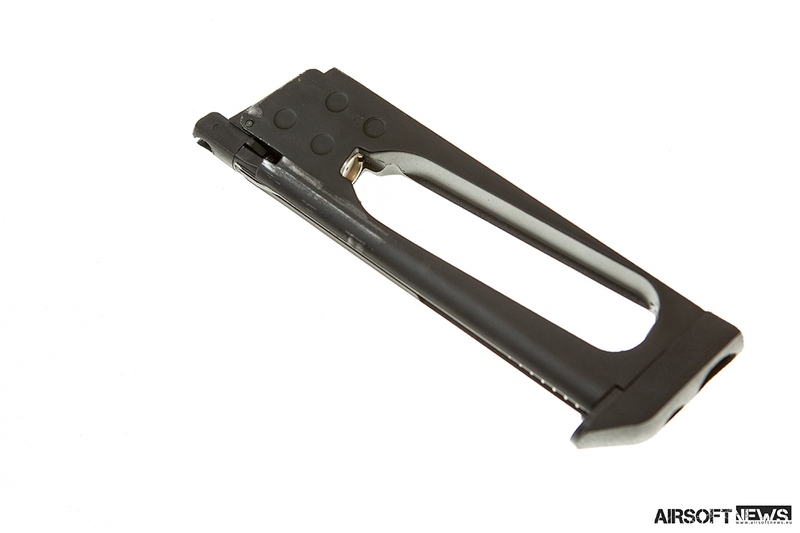 The extended ambidextrous safety is easy to operate (duh) and clicks firmly and securely. Slide stop is a standard, non-extended version. The trigger breaks nicely and that makes follow up shoots nice and precise. 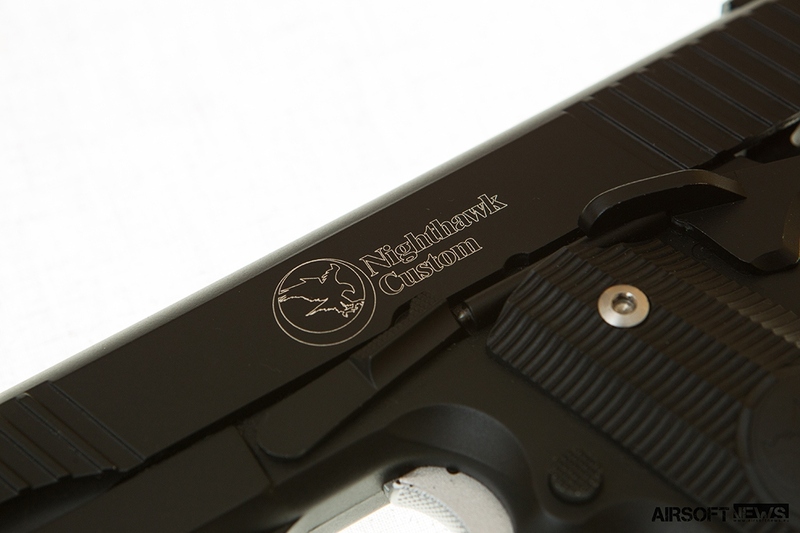 The slide has a Nighthawk Custom logo engraved on its left and RWA logo on the right. 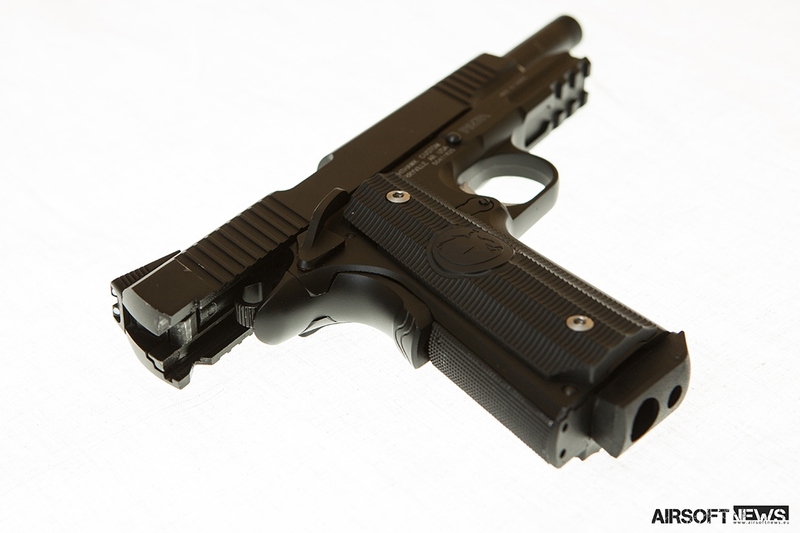 The slide has non-removable front iron sight and a removable but non-adjustable rear sight. 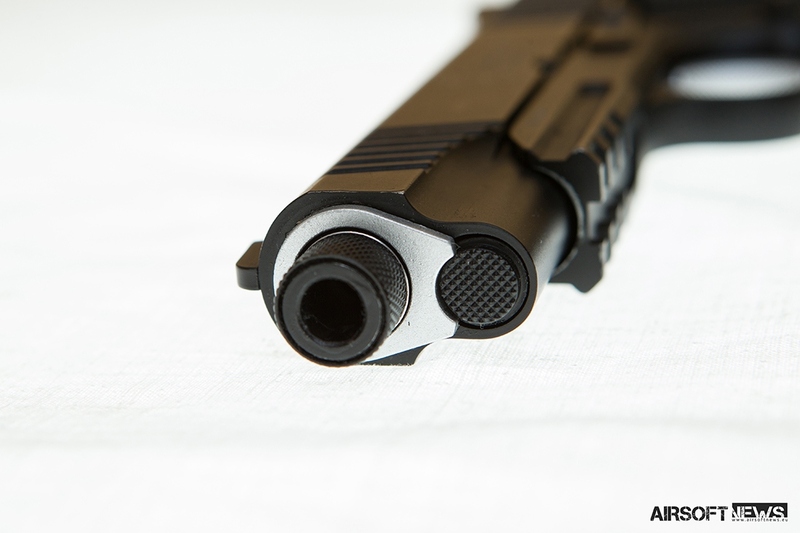 Both front and rear sights are dotted with white paint and have higher profile than the basic sights of the standard 1911 helping you find your target easier. The magazine holds one 12g CO2 cartridge and 17 BBs and with one cartridge you can empty four times of that amount on a good day (depending on the temperature). It has a rubber nozzle cover and plastic base plate. The mag is bottom heavy and that means it will land on the plastic base plate and not on the feeding lip when performing speed-reload. 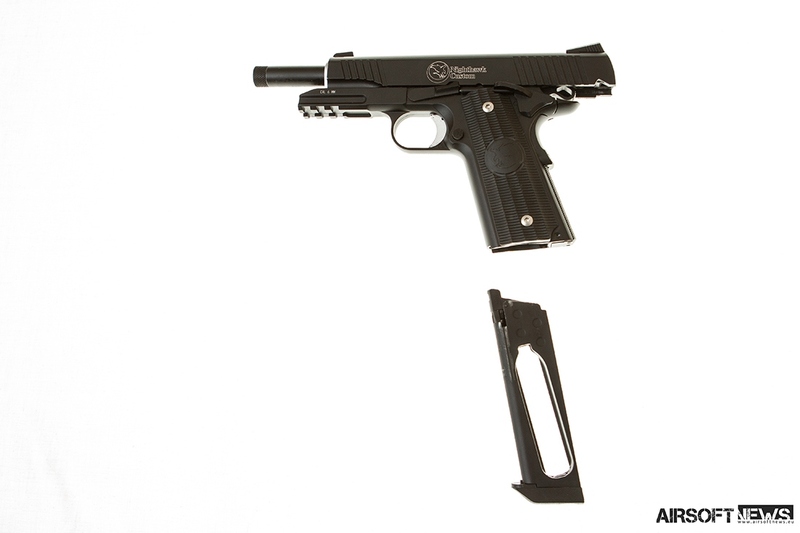 The gun can be taken apart like any other “forty-five”: Take out the mag, remove the slide catch and simply pull off the slide. 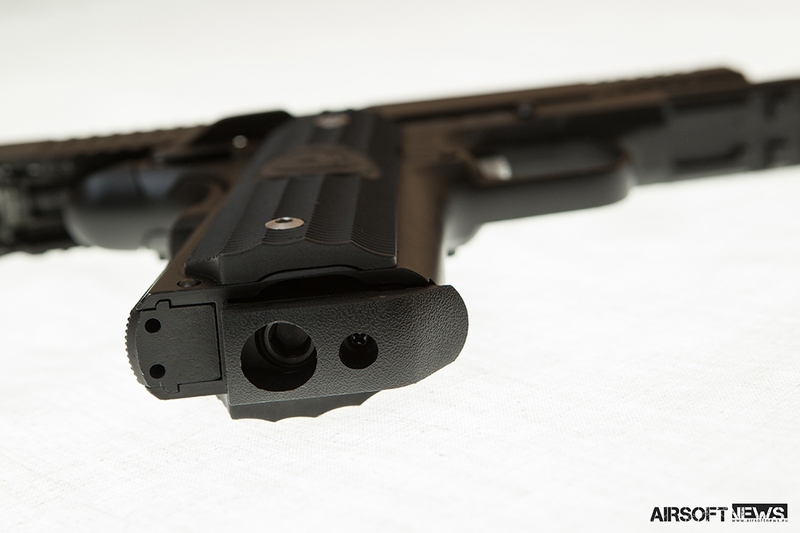 The frame holds the trigger group, mag release, thumb/grip safety and slide catch. RWA was right about one thing: this is a good single stack for skirmishing right out of the box. Decent kick, pleasure to shoot with. Only thing I could say worth changing is the Hop-Up rubber and a tight bore barrel to achieve better accuracy but the latter could result in an even higher FPS as well. Redwolf says all replacement parts can be ordered through them but if you care about your gun you will not come to that issue. 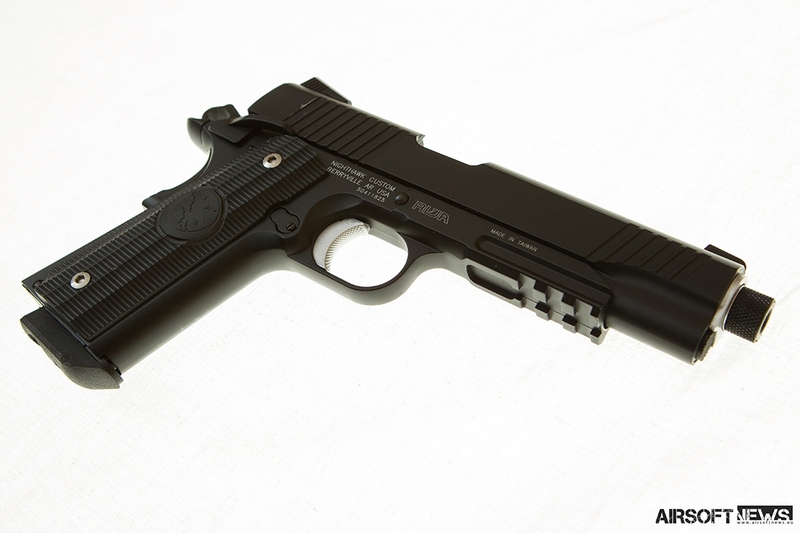 To carry this 1911 your best bet is whatever floats your boat. From Kydex that costs an arm and a leg, to a simple extra magazine pouch you had laying around. It matters only if you lose it. But I think no one will be so reckless. As this gun really outperforms on the field. The combination of everything makes it the gun that you will use to get to the rifle you should not have dropped the first time or for those sneaky kills that are impossible with the rifle.